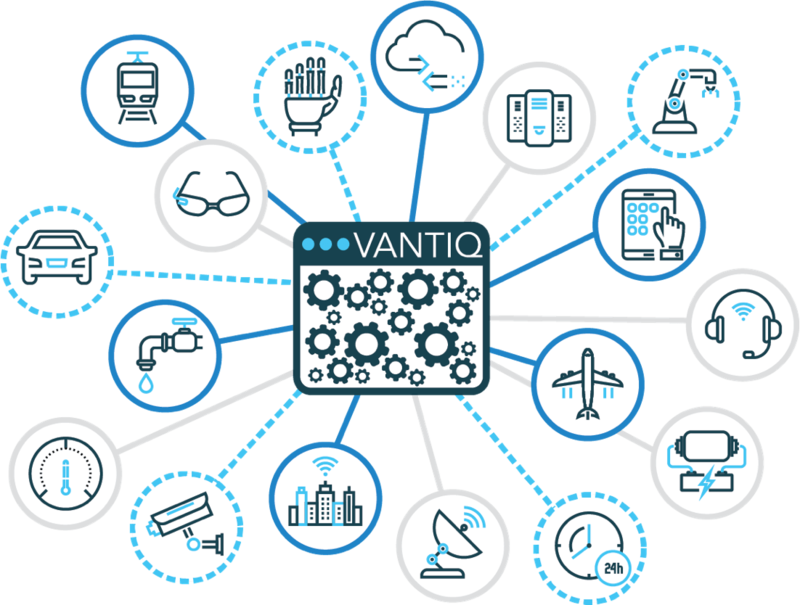 The VANTIQ application platform allows every company to rapidly build, deploy and run real-time, event-driven business applications based on data-streams of any kind, including data from IoT and mobile devices, existing enterprise systems, and people. 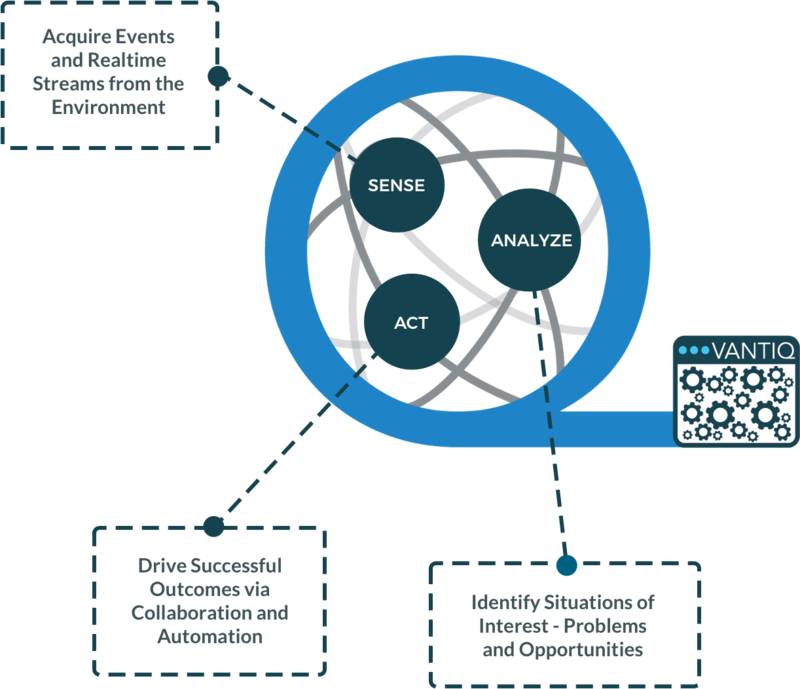 Data streams originating in the environment such as new readings from real-time sensors, requests from mobile devices and changes in a legacy system, are continuously fed into the Sense stage of the application. This stage also translates and aggregates external data to create events within the system, and maintains an internal current state representation of the environment. The Sense stage provides information, but lacks knowledge of what is important. The Analysis stage continuously analyzes changes in the environment by using business rules, external services, and machine learning models to identify situations of interest that subsequently get resolved in the Act stage. Event-driven applications use automation where possible and collaboration where necessary to achieve the desired outcomes. As situations of interest occur, the Act stage is responsible for intelligently managing how the system responds. 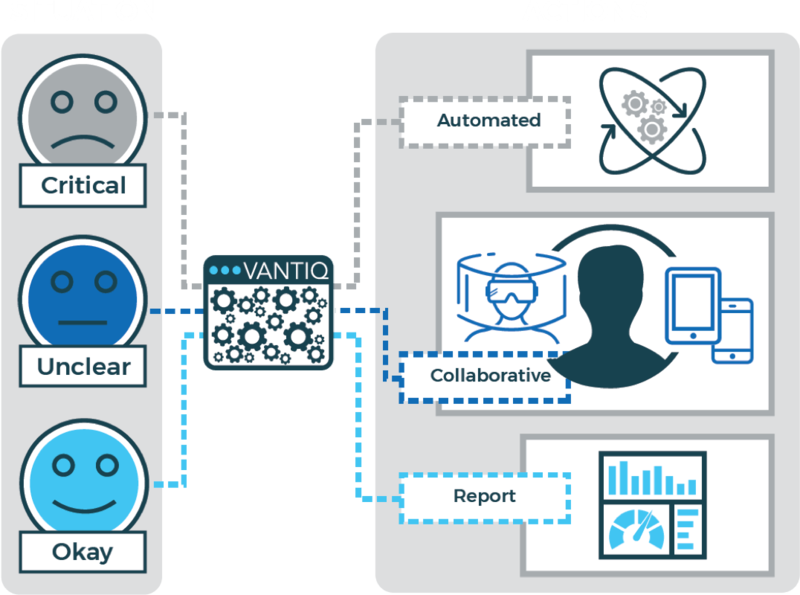 Applications built with VANTIQ support two modes of action: Automation and Collaboration. Automated responses may be taken directly by the application or may be forwarded to a more specialized system for implementation. Collaboration includes intelligent interaction between the system and the responsible individuals to respond effectively to a situation. 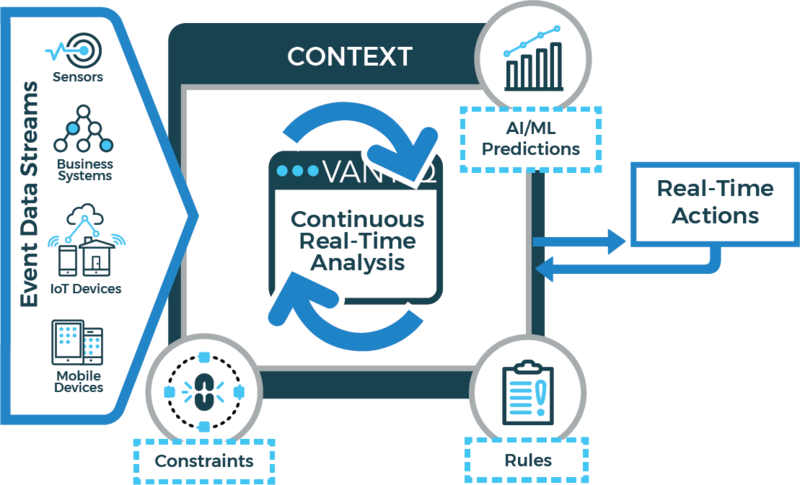 The VANTIQ platform drastically shortens time-to-value and increases agility by hiding complexity so developers building event-driven applications can focus on delivering real-time business value, not infrastructure. To learn more about real-time, event-driven applications, watch the video below.